Our Stink Bug Exterminator will ensure you have a Stink Bug Free Home. Our Stink Bug Pest Control Technicians will identify the source of the Brown Marmorated Stink Bug Infestation, create a solution to eliminate your Stink Bugs. Let Us be your Stink Bug Extermination Company, Call Us Today. 1-844-305-8999. 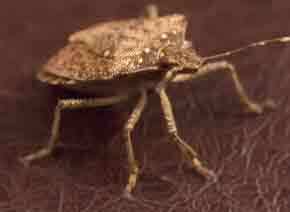 Some species of stink bugs invade homes in the fall when the weather starts to turn cool. They cluster on the outside of the home for warmth. Got a Stink Bug Problem Our Stink Bug Exterminator will effectively Exterminate Stink Bug invasions. We treat the source of your Stink Bug infestation. When you have a Stink Bug Infestation they will find holes or cracks, they move inside the home. They find hiding places in attics, crawl spaces, and inside of wall voids. The bugs stay hidden through the winter. 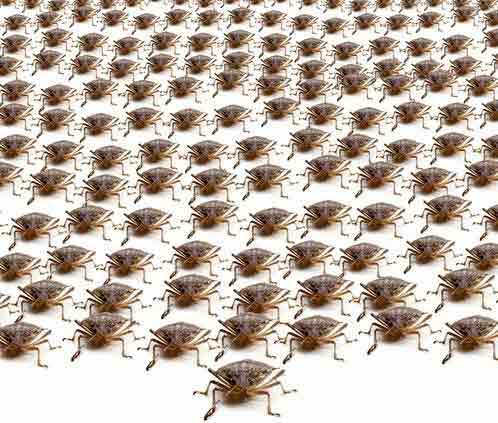 When springtime comes, the Stink Bugs start to move around. Once a home experiences a stink bug invasion, they are likely to have a re-occurrence in the next fall. Our trained Stink Bug Pest Control technicians will develop and implement a plan to keep this from happening. Dependable Exterminating is a Full-Service Stink Bug Exterminator. Our trained technicians will utilize various Stink Bug Pest Control methods including insecticides and Growth Regulators. 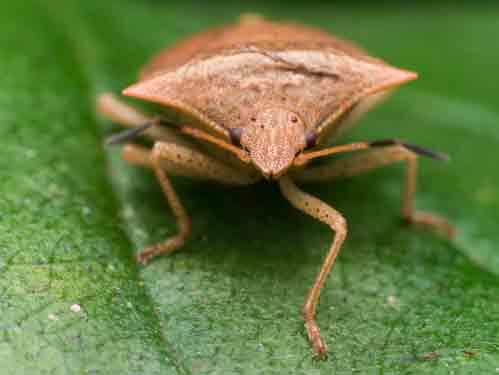 Even though they look menacing, stinkbugs do not bite or sting people, and will not cause structural damage to properties. To homeowners, stink bugs are considered a major nuisance pest, as they enter homes in large numbers when the weather begins to cool, seeking heat and warmth to survive over winter. When numerous Stink Bugs are entering the living areas of the home, our trained technicians will locate the openings where the insects gain access. Typically, stinkbugs will emerge from cracks under or behind baseboards, around window and door trim, and around exhaust fans or lights in ceilings. Our trained technicians will identify these openings that would need caulk or other suitable materials to prevent the insects from crawling out. If you have Stink Bugs, Call Dependable Exterminating Today, we will eliminate your Brown Marmorated Stink Bug Infestation. 1-844-305-8999.